Oh my, my good friend Martha Reynolds, author of CHOCOLATE FOR BREAKFAST and the soon to be released CHOCOLATE FONDUE has tagged me in a blog hop. So I am foregoing hunting Easter Eggs today. MEDITATED MURDER. It follows my just released SOCIAL INSECURITY. The main idea, or crime (other than the murder in an attempt to cover it up), came when a good friend got in trouble for embezzling client funds. It is a cozy mystery. Second in a series or as I blogged about previously, more accurately, the second installment in a serial. The character of Brigid is tough. There are not a lot of blond amputees running around Hollywood. But Damien would be Colin Farrell – or a younger look-a-like; Patricia would be Kathleen Turner; Madeline Mulqueen, a model from Limerick who was in The Rubberbandit’s video for Horse Outside, has the look to play Aisling; Earl would have to be played by Rick Fox since it is mentioned in the first book that he looks like him, but it would have to, once again, be a younger look-a-like. The rest would take more thought. The first draft was actually written quite a while ago in about a month. But the changes the new title brings and the revision will probably take me about three months at a guess. I’m not sure because I am trying something different in writing a serial as opposed to a series. This specific book was originally inspired, sadly, by the crimes of a friend. But the turn it has taken was inspired by my sister, Teresa Cunningham. She was doing one of those 21 day Deepak/Oprah meditation things and she wanted me to do it with her. I was reluctant so she said I might learn something or get an idea for a story. 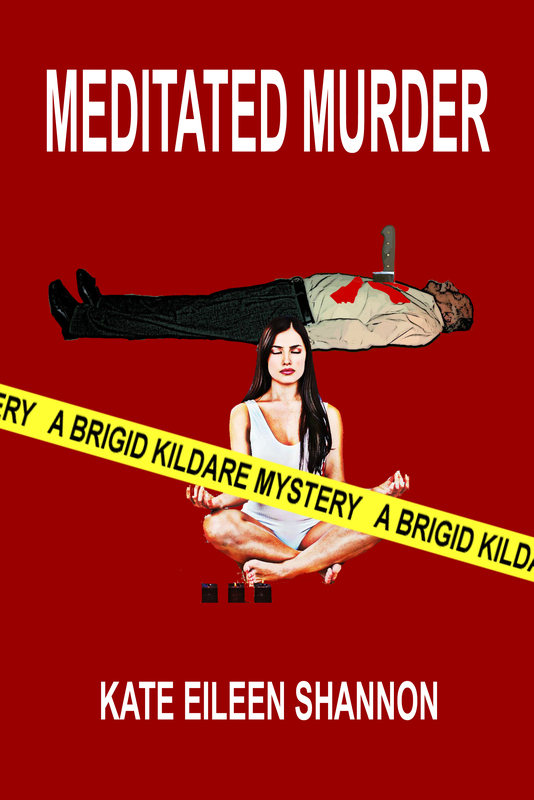 She pointed out that someone in a deep state of meditation wouldn’t even know if someone came in the room and shot someone and I could call it Meditated Murder. Yup, she came up with the title and it was so good I have had to make some major changes to the original story. The protagonist is an amputee who doesn’t recognize any limits. This entry was posted on March 31, 2013, in Book Reviews, Rants Raves and Reflections, Uncategorized. Bookmark the permalink.